Hi all, I am in the early stages of design. And Stumped on what type of concealed hinge to use for a radius door. Ideally they would be a typical Blum or the equal over using soss. Anyone have any feedback to help eliminate a mistake on my end? If you would like something more detailed, Salice can also furnish a custom drawing to match your application specifically as shown below (Example only). Once you have the details worked out (Radius, door thickness, overlay or inset, etc...) just let me know and I will send you a drawing. 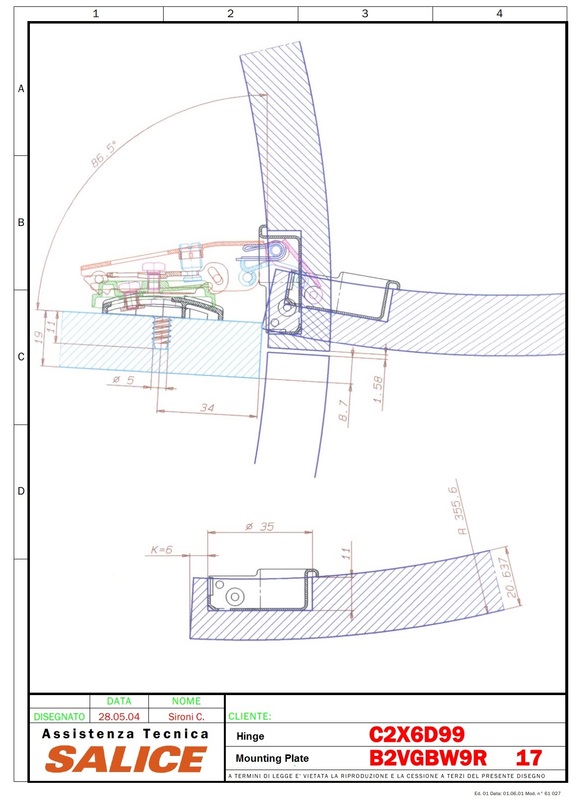 The drawing will include all dimensions and the hinge and mounting plate part numbers. Thank you both very much , I appreciate the help.